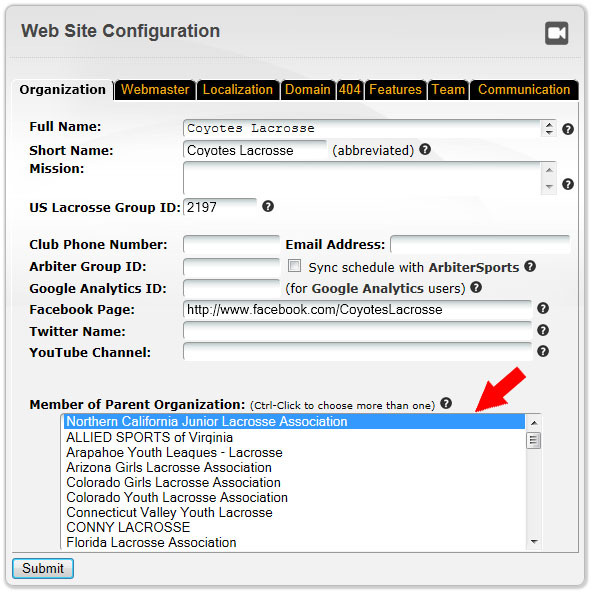 How do I link my club’s League Athletics account to the NCJLA website? 2. 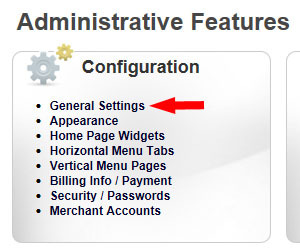 From the Administrative Features page click on General Settings. 3. From the Web Site Configuration box, select the “Organization” tab, then select Northern California Junior Lacrosse Association in the “Member of Parent Organization” and finally click the “Submit” button.